As a company focusing mainly in digital services we are not too much tied to time and place with our work. Many of our employees work lot of the time remotely and see rarely each other. We have built a tradition of gathering once a year for several weeks to some warm and pleasant environment abroad to spend time together and improve our team spirit. These workshops have become important for our employees and they are usually planned months in advance. Speculating with current years destination and possible free-time activities are popular topics in the before and after confirming the destination. The 2018 workshop took our team to the beautiful capital of Malta, Valletta. One of the routines for many was stopping by to swim after days work in the office. This far we have always rented a villa and a separate office for work from our destination. This ensures we have good circumstances for keeping our services running and focus in work when its time for execution. Another benefit is that this way our villa can be a work free zone where we can focus on enjoying each others company. Obviously we speak a lot about company matters there as well and innovate but the atmosphere for these discussions is much more relaxed than an a busy day at the office. Our team members enjoying the great wines and foods in one of Valletta’s many great restaurants. Our company is becoming more international every year so our annual workshops fit well in our future plans as well. During our workshops we always meet potential local partners and get to know the local bitcoin scene so the workshops support well our goal of expanding to new markets. As our staff has nearly doubled in 2018 we can’t anymore expect everyone to take part in the workshop at least for the whole time. Especially those with families typically stay only week or two and some don’t participate at all. The workshops are voluntary, but so liked that most of our staff arrange their work and family life so that they can participate even for a short period. 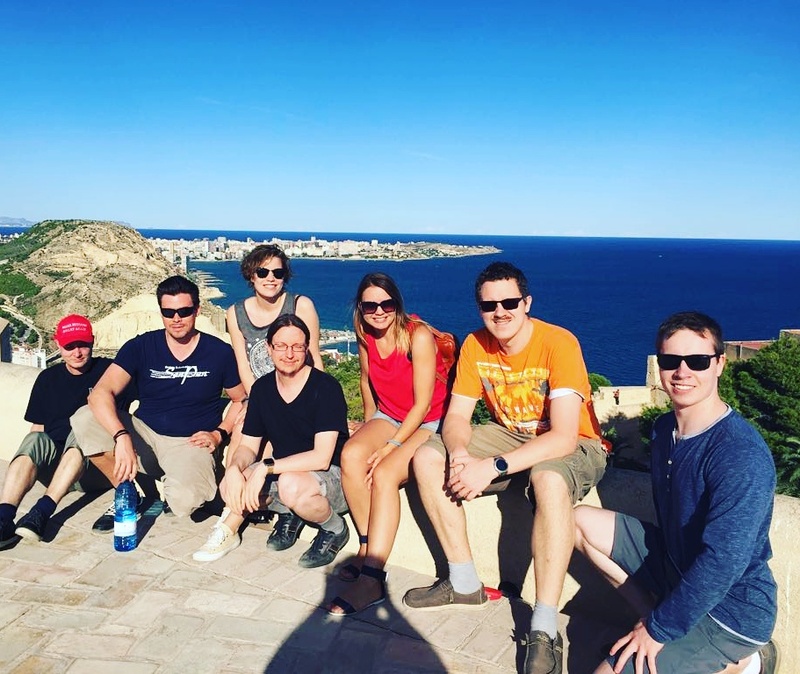 Our team members enjoying the views on the top of the Alicante castle in 2017.